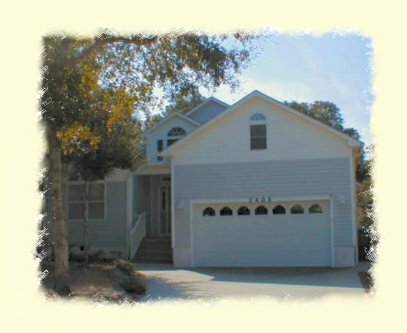 Single Story Home Under 2500 Sq.Ft.-PCB980401-Carolina Coastal Designs, Inc.
Nestled among ancient Oak trees, this 3-bedroom sun country style home is a private oasis on the northern shore of Oak Island in North Carolina. 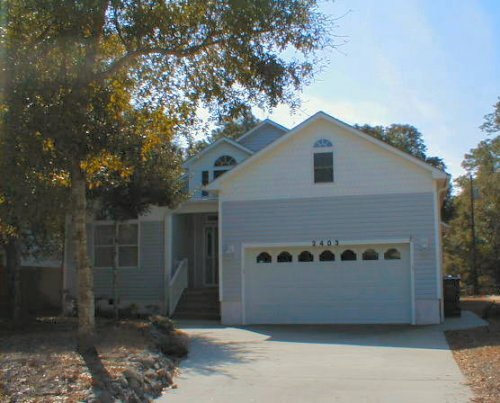 Vaulted ceilings, providing a bright and airy atmosphere, cap the entry foyer, great room and dining areas. A modern kitchen adjoins the cheerful breakfast room, which has sliding doors to a screened porch for outdoor dining. The master bedroom suite, located at the rear of this home, also opens to the screened porch. Two additional bedrooms and a full bath complete the sleeping quarters. While functioning as a one-story home, the bonus room located over the garage provides an extra measure of livability.